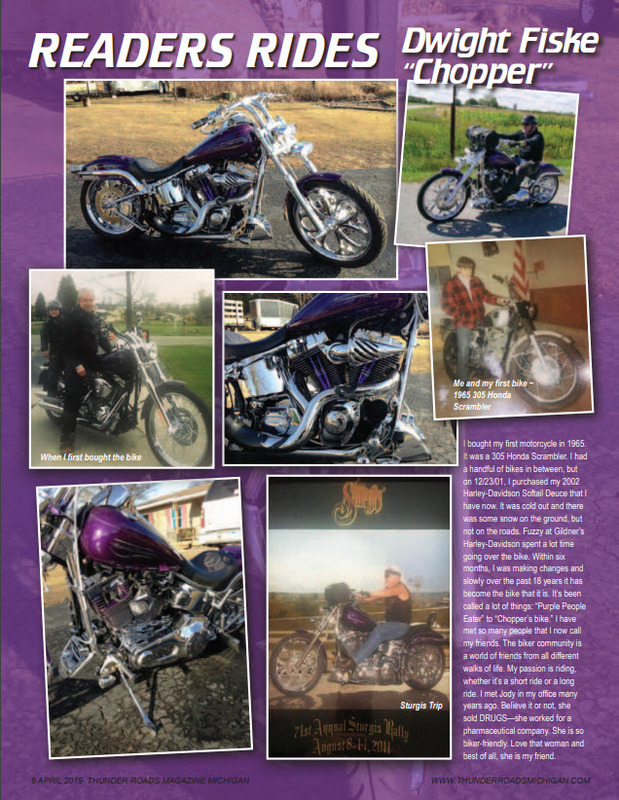 Welcome to Thunder Roads Magazine of Michigan! We’re glad you’re here. 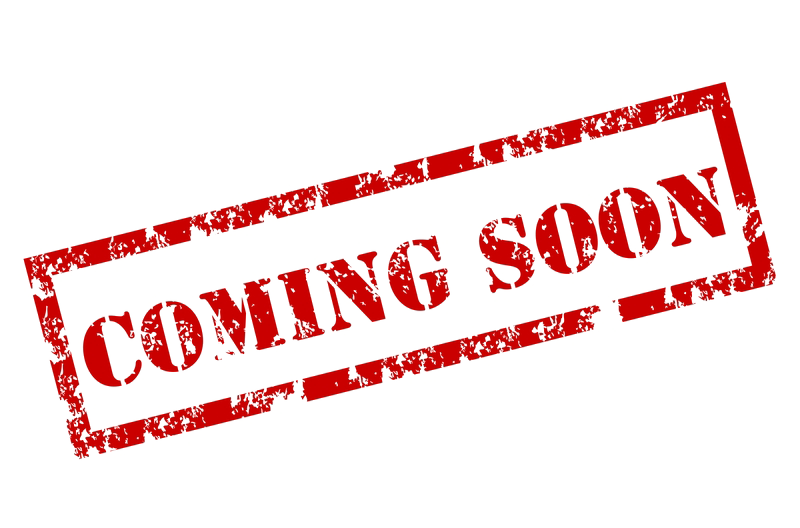 Follow us as we bring to you news and events happening around the state of Michigan, as well as promote biker friendly businesses. 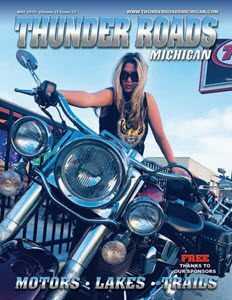 Thunder Roads Michigan is a free to reader magazine published during the months of April – September. 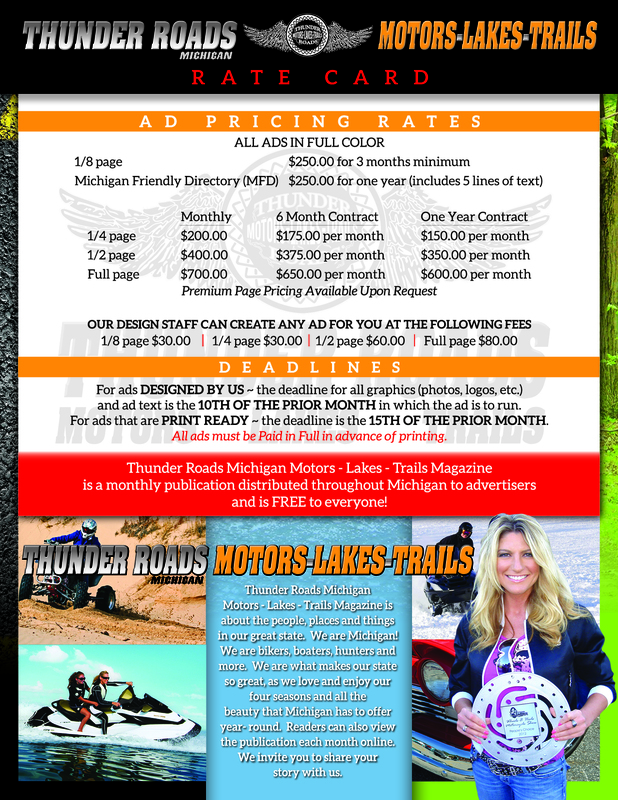 To get your free copy of Thunder Roads Magazine of Michigan you can simply pick it up at any advertiser during publishing months, view it here online or order a subscription (in the Thunder Store).